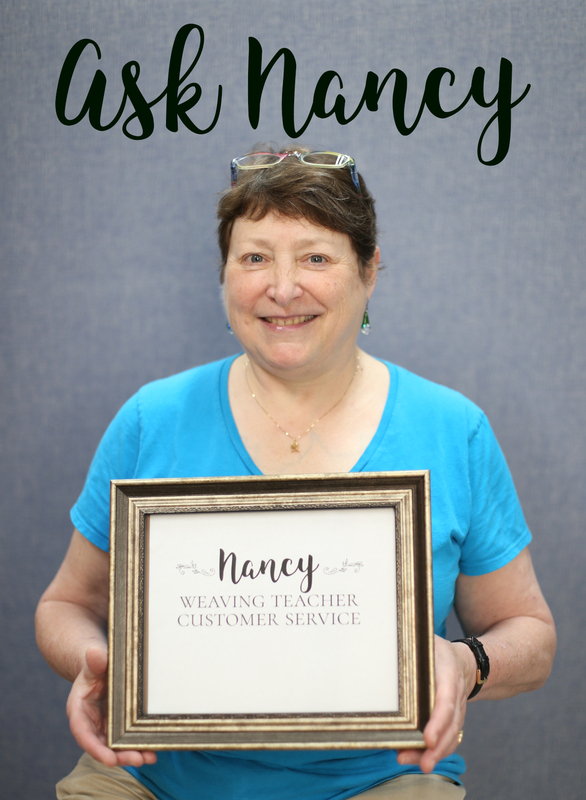 We have a very topical Ask Nancy post this month if you're thinking of participating in our Woolery Weave-Off! I have just ordered a bunch of the Bluegrass Mills 6/2 Cotton Yarn to make dish towels. Do you know of any patterns using 6/2 weight yarn? The only patterns I have found are for 8/2. I'm not experienced enough to know if I can use an 8/2 pattern with 6/2 yarn. Any help would be appreciated. Answer: The 6/2 yarn works up in a plain weave structure very nicely at 15 or 16 ends per inch (EPI), and in a 2/2 twill at 18 EPI, and a 1/3 twill at 20 EPI. Patterns in a book like Dixon’s Handweaver’s Pattern Directory or in the Davison book, A Handweaver’s Pattern Book, don’t give you a size of yarn; they just give you a draft, which is usable in any size yarn as long as you use the appropriate sett for that yarn and that structure. So for instance in plain weave, if you want to start out with 18” in the reed, you would wind a warp that is 18” X 15 EPI, or 270 ends. If using 16 EPI as your sett, your calculations would be 18” X 16 EPI, or a warp of 288 ends. If you are weaving any sort of 2/2 twill, you’ll need to consider the number of pattern ends in each motif, and adjust the number of total ends slightly to accommodate whole pattern repeats so you don’t cut a pattern off in the middle at the edge of your towel; that always looks odd! But any pattern is just a draft, and any draft can be woven in any yarn, as long as you are willing to do the multiplication yourself. As in anything woven, it’s always wise to make a sample first, and see how it looks and feels, and what your shrinkage rate will be. Depending upon the weave structure you pick, your shrinkage might go from 10% on the low end (in a plain weave) to 30% on the high end (waffle weave shrinks like crazy).